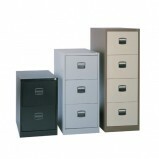 Our range of Low-Cost Filing Cabinets is available in 2, 3 or 4 drawer sizes. 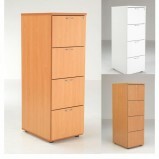 These steel or wood effect filing cabinets and are built for the toughest office environments. If you are looking for a quality cheap filing cabinet then look no further! Contact Us for more information on our range of Low-Cost Filing Cabinets for your Office. Steel Filing Cabinets Our range of low cost steel filing cabinets are designed and manufactured for today’s modern office environment and offer excellent value for money. They are strong, reliable and safe. 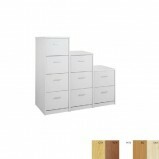 Contract Steel Filing Cabin..
TC Lite 4 Drawer Filing Cabinet A great storage solution at a great price. Do not compromise on quality Features Lite Filing Cabinet 4 Drawer Option Chrome Handles Locking Anti-tilt Mechanism Options Bee.. Maestro deluxe executive filing cabinet Offering versatile and practical storage solutions, our universal range will keep your office organised and looking neat and tidy. Filing cabinets are there when you need them to access files, howe..